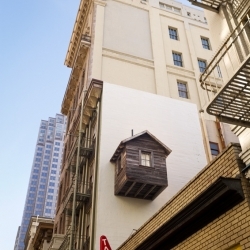 Mark Reigelman's new work, Manifest Destiny!, shows a cabin attached to one of the remaining spaces not being used in cities – over and between other buildings. 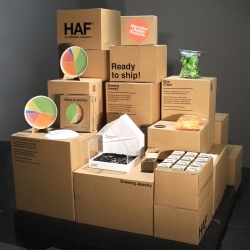 Last week in Stockholm HAF by Hafsteinn Juliusson presented their installation Ready to Ship. For the occasion they displayed their existing collection that includes Growing Jewelry, Wheel of nutrition and Slim Chips. 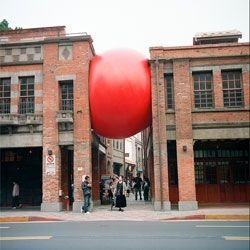 Kurt Perschke's playful street art installation RedBall project. 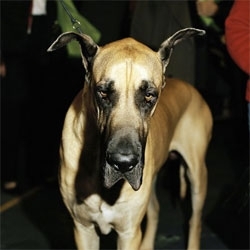 Photographer Ryan Pfluger captures portraits of competitors at Westminster Dog Show. 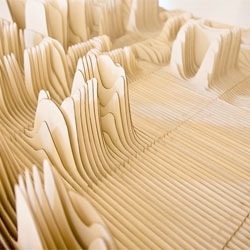 Emilio Gomariz has created some visually interesting OS hacks. 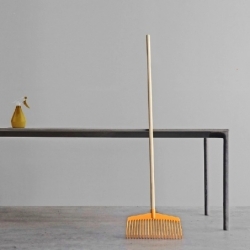 Whether it's the Finder window or Illustrator, he plays with functions as aesthetics. Pop-its are personal puppets because they are made out of your own clothing. Get your own unique Pop-it from Ridder & Clown! 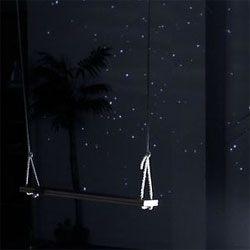 VIDEOStarfield is an installation from lab212 where a swing is used to create a large interactive starry sky. 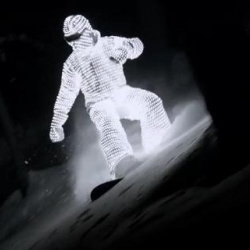 Created with openFrameworks and utilizing a Kinect. 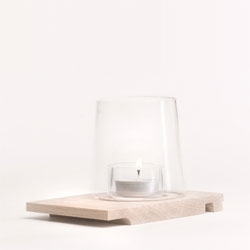 Onoff, a candle holder for Oxygene by elevenfeet. 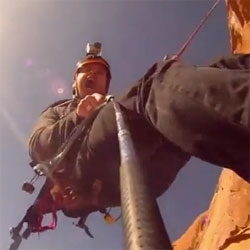 VIDEOThe World's largest rope swing in Moab, Utah. Amazing. 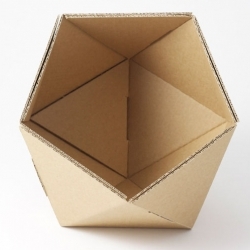 Directly inspired by Adonde an icosahedron with its twenty sides, ICO by comes in several colors to put on your desk, shelf or table. Just empty your pockets into it. VIDEOScience Nation Army. 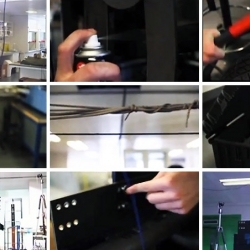 Using real footage and sounds from a working science lab, the Inside Knowledge blog team from Imperial's Blast Lab reconstructed the White Stripes song Seven Nation Army from scratch. This spacious, inviting home is actually a modern prefab cabin built by Resolution: 4 Architecture. 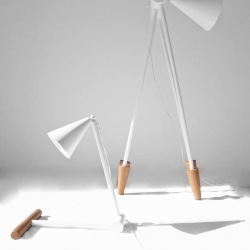 Foldy lamp family by Ia Kutateladze. 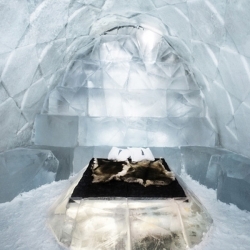 Sweden's Ice Hotel enlists French artist and designer Antoine Weygand and architect Roland Toupet to design and build room 339, also known as 'Diamond Genesis'. 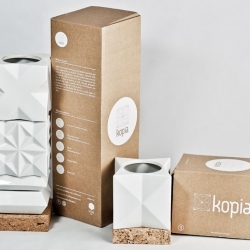 Kopia modular tableware family made in porcelain and cork, inspired by an ancient Hungarian ritual of 18th century by István Böjte. 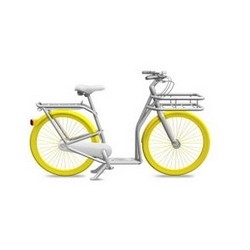 The French designer Philippe Starck unveiled, in partnership with Peugeot, a bike that will be manufactured for the city of Bordeaux, by the end of the year. 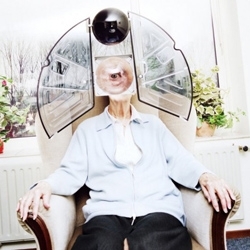 Arjen Born, a Dutch photographer, offers up his take on assisted living in the future. MOA is defined by its position on the side of a small hill, close to the entrance of a university. 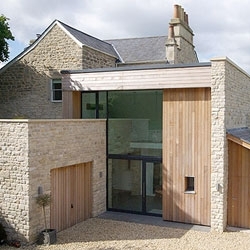 Conceived as a basic rectangular box, sliced diagonally by the incline of the hill. 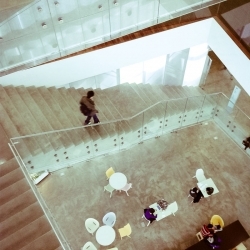 By Rem Koolhaas. Alphabet Topography, a monotype typeface where the height of the letterforms is determined by how often a letter is used. Created by Synoptic Office. 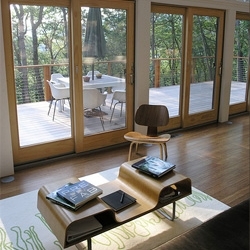 The Fosse by Designscape Architects. 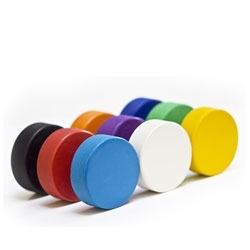 Modknobs, a quick and easy to modernize and brighten up your doors. 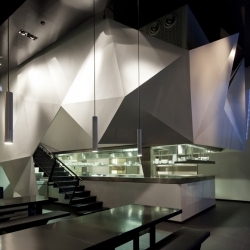 BK Architects has built a slick new noodle bar, Zozobra, on the streets of Kfar-Sabba in Israel. The dramatic lighting effects mixed with the reflective materials are a stellar recipe for and exciting space! Rice paper based Sincol x MT wall tapes. Beautiful alternative to wallpapers and decals. 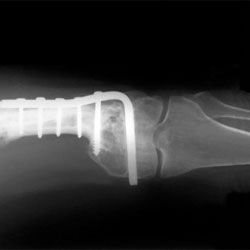 System of implantable sensors that may allow orthopedic surgeons to wirelessly receive data regarding load, strain, motion, temperature, and pressure . Just 4 millimeters across and 500 microns thick. mag_net_ic earrings from Akiko Oue consist of two pierced earrings and a series of magnetic pieces which can be used to customize the series. 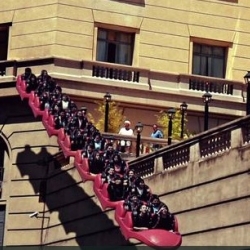 VIDEOInception Park in Buenos Aires - Impressive video directed by Fernando Livschitz of Black Sheep Films. 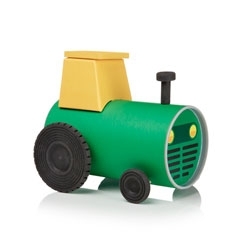 Fun new 'tube toys' from designer Oscar Diaz are assembled from the components of their own packaging. 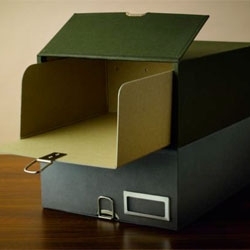 Beautiful Monocle archive boxes that even have a secret compartment for your passport and valuables. 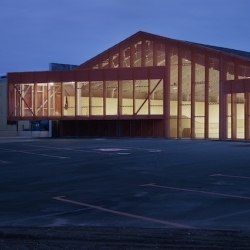 Skatepark and Cultural Center in a former factory in Calais by French team Bang Architects. 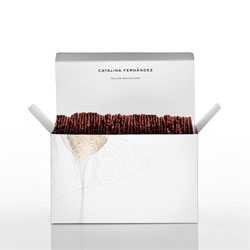 Anagrama's beautiful branding and identity for bakery Catalina Fernández. 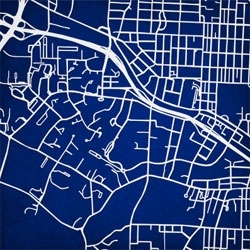 The creators of City Prints are now creating maps of university campuses, so you can capture your alma mater in subtle abstracted beauty. 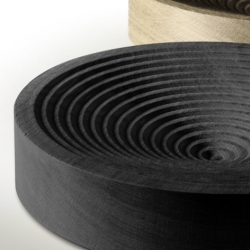 British designer Benjamin Hubert launched these CNC cut fruit bowls in Stockholm earlier this month; a series created for the newly re-launched Scandinavian brand David Design. VIDEOBehind the scenes at the observatory. 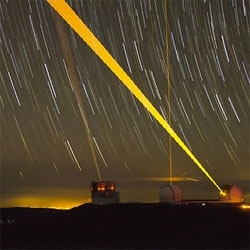 The stunning Keck Observatory houses two ten-meter telescopes and is perched atop the summit of Mauna Kea Hawai'i. Brian Stewart's Skin Type. "Everyone has one. Any time you've written on your hand, you've created one. 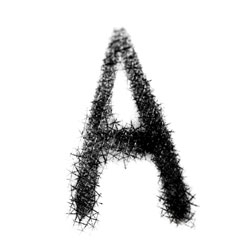 A unique DNA based typeface." 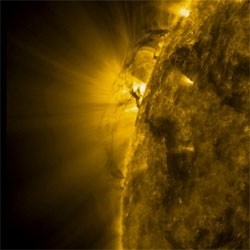 Stunning video from the NASA Solar Dynamics Observatory capturing dark plasma tornadoes on the surface of the Sun. 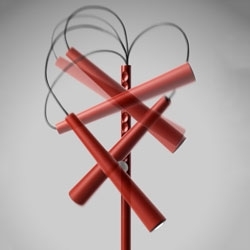 VIDEOThe Magneto lamp by Giulio Iacchetti. 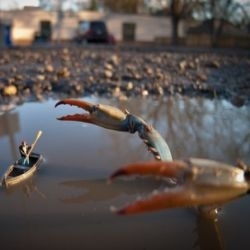 Photographer Kurt Moses captures these fantastic miniature dioramas. 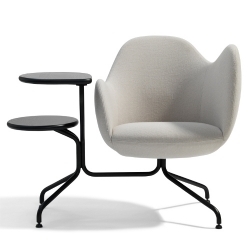 Wilmer S90 is an asymmetric armchair which has been designed by Stefan Borselius for Blå Station. 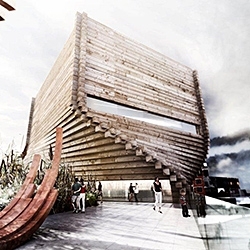 BIG + Architectural Nexus + Dunn Associates + VBFA + Envision Engineering + Big D design the winning proposal for the renovation and expansion of Kimball Art Center in Park City, USA. FEATUREDBrazilian eco-escapes, illuminated Jerusalem and the definition of first class travel are all part of this week’s roundup from NotVentures. 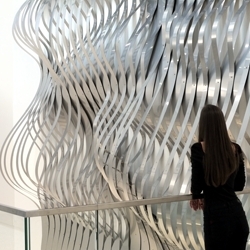 Draper by Rob Ley: A 70-foot installation composed of hundreds of unique stainless steel strips that passes through five separate floors of the visual arts school at FSU, offering each level a unique view of the project. 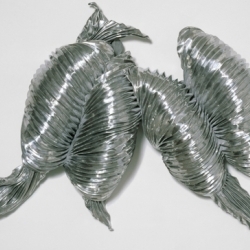 Art legend Lynda Benglis on Theatricality, Landscapes, and Stepping on Richard Serra's Toes. 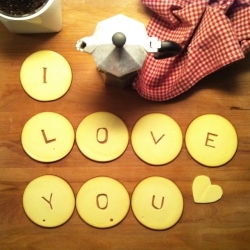 Lynton Pepper's literally cheesy Valentines Day message to his girlfriend cut out from Bavarian smoked cheese. You may not be aware of it, but since prehistoric times, up to the Middle ages and today, many shoes have been made entirely out of wood. 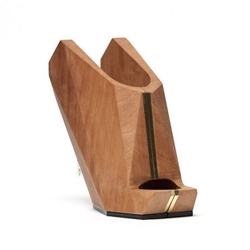 Cat Potter takes this material and models it with a three axis milling machine. 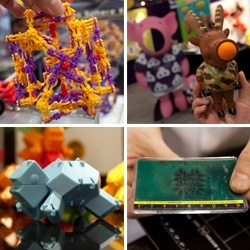 FEATUREDToy Fair!!! Here's a look at some of our favorite toys discovered that are perfect for grabbing on the go... magnets, turtles, puzzles, knuclestrutz, moose poppers and more! 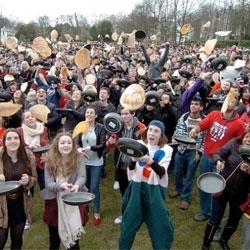 VIDEOThe Big Flip at the University of Sheffield saw a record breaking attempt to flip as many pancakes non-stop for 30 seconds. 890 people became Guinness World Record breakers!